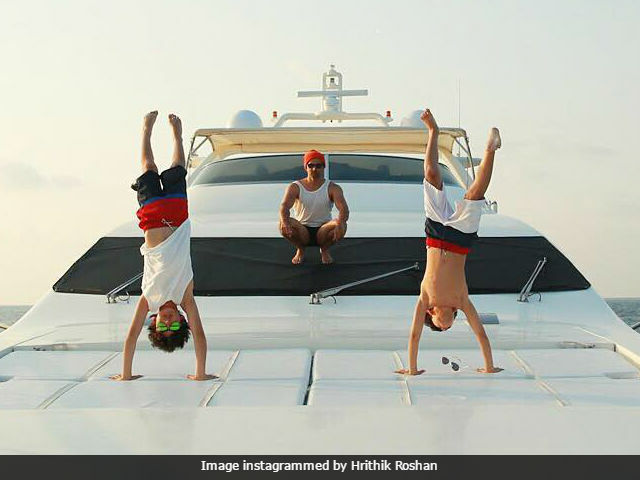 In a picture from Hrithik Roshan's vacation album Hrehaan and Hridhaan posed while doing a perfect handstand. Hrithik's caption for the picture read: "I asked them for a heroic pose. I'm not entirely sure what they had in mind"
Actor Hrithik Roshan's sons are as athletic and fit as the 44-year-old actor. Hrithik, who is on a vacation with his sons Hrehaan and Hridhaan, shared pictures from their yacht trip. The photos are truly spectacular while Hrithik's captions will make you ROFL. In one of the pictures, Hrehaan and Hridhaan posed while doing a perfect handstand. Hrithik's caption for the picture read: "I asked them for a heroic pose. I'm not entirely sure what they had in mind." In the other picture instgrammed by Hrithik, Hridhaan, 9, took a 'leap of faith' and Hrithik described the moment as: "According to them, anything can be a trampoline if you try hard enough." PS: Hrithik is trying not freak out (he says so in a hashtag). Both pictures have more than 3 lakh likes, including that of Hrehaan and Hridhaan's mother Sussanne Khan. Hrithik and Sussanne are divorced but often come together to celebrate their children's birthday or other special events. Hrithik Roshan was last seen in January release Kaabil, co-starring Yami Gautam. 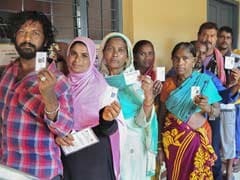 The actor will reportedly star in Vikas Bahl's film based on Patna's Mathematics professor Anand Kumar, the founder of the Super 30 programme that trains IIT aspirants. 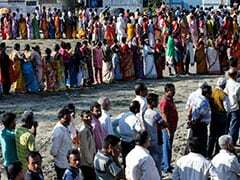 Apart from that, the Mohenjo Daro actor will be seen in Krrish 3 which will be made by his father Rakesh Roshan.